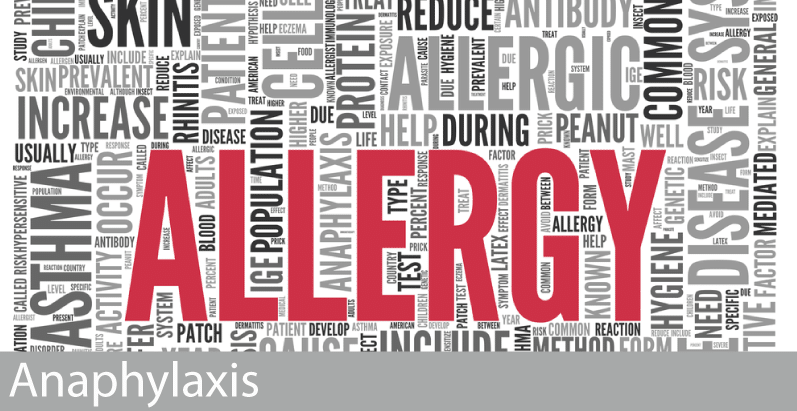 Anaphylaxis is the term used to describe the most serious type of IgE mediated allergic response when symptoms can cause obstruction of a person’s upper or lower airway, and/or collapse of the circulation with low blood pressure and loss of consciousness. It is a life threatening response and a medical emergency. Anaphylaxis can result from food allergies, drug allergies, allergies to bee or wasp venom and occasionally without any obvious cause. Such at risk patients should be prescribed their own adrenaline injector device to have ready at all times. Dr Orton will discuss the need for such a device and give full instructions of when and how to administer the device, if required.